October 13th, 2010 London—Todd Merrill Antiques & 20th Century is well known worldwide as the source for the best of American Studio furniture. In November 2008, Rizzoli published Todd Merrill’s book, Modern Americana: Studio Furniture from High Craft to High Glam, the first definitive book on late 20th Century American studio furniture. 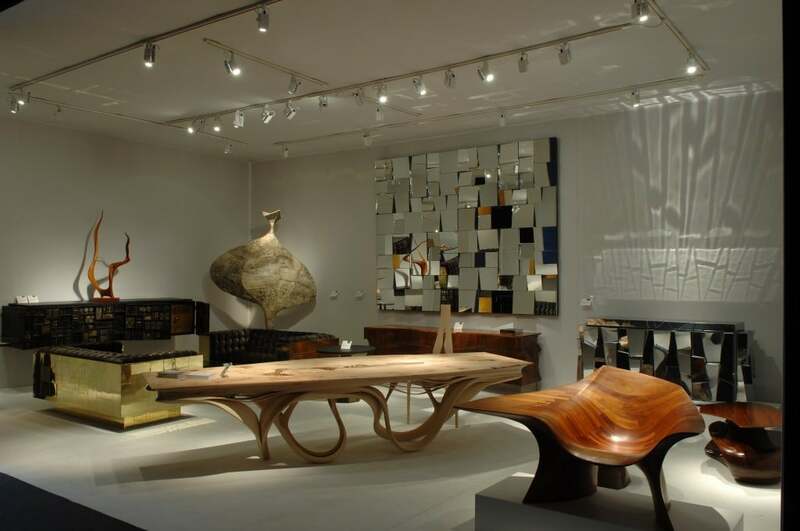 For his second booth at the Pavilion of Art and Design, Merrill has curated an outstanding group of rare pieces by master studio designers Michael Coffey, Paul Evans, Jack Rodgers Hopkins, Phillip Lloyd Powell, and Joseph Walsh. Born in 1928 and raised in New York City, Michael Coffey has spent his career working out of rural Vermont and Massachusetts. He is a self-taught artist who now teaches “master” classes at a graduate level in furniture making. Coffey turned his attention to furniture design and making as a full time artisan in the early 1970s and has been producing outstandingly designed and crafted furniture for over forty years. Coffey, whose organic and progressive designs were first inspired by nature and natural forms in river rock and tree formations is considered one of the greatest living studio artists practicing today. His work has appeared regularly at major auction sales for nearly a decade and he was recently the subject of a career retrospective exhibition at Sebastian & Barquet, New York. Coffey’s designs continue to evolve as he enters his eighth-decade. Paul Evans (1931-1987) was a natural sculptor thwarted by a contradictory drive to be a deal-making entrepreneur. In fact, his best pieces exhibit a tension between his personal visions as an artist and his honed instinct for new looks and techniques. 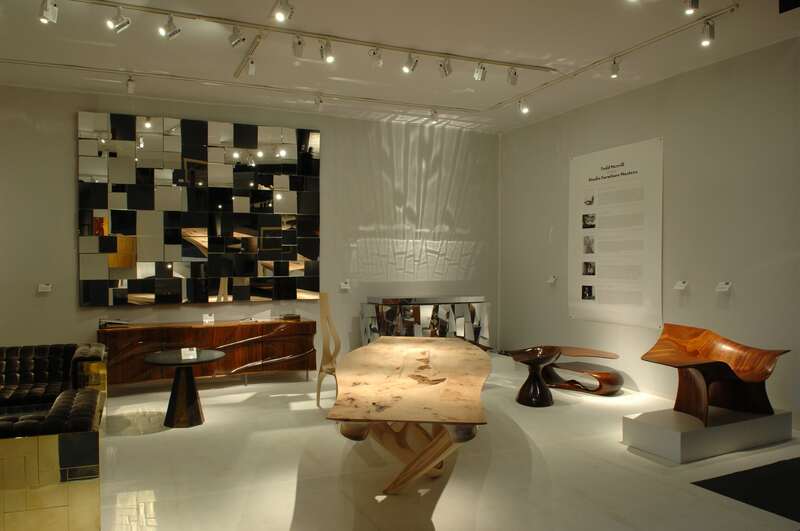 His unique approach to furniture making, a combination of handcraft wedded with technology, anticipated the limited edition art furniture of today. With his early creative partner, Phillip Lloyd Powell, Evans set a unique standard for creative manufacturing producing every piece entirely by hand and creating some of the most spectacular furniture of the 20th century. 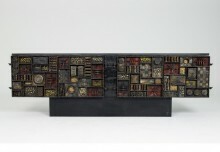 More particularly, his relationship with the Directional Furniture company set a unique standard for creative manufacture, as he described so poignantly in a brochure of 1975: “Every piece is supervised every step of the way by the artist who conceived it”. Jack Rogers Hopkins (1920-2006) was initially inspired by the sensual forms created on a potter’s wheel. 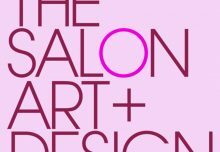 Hopkins’ work contains few straights lines, sharp angles or even edges and his futuristic designs made him a leading figure in the California design scene of the 1960s and 70s. He was a pioneer in stack lamination working exclusively with this method for furniture design he eliminated the need for traditional joinery. As a studio craftsman and university professor Hopkins considered himself “a sculptor-designer” finding the term “artist” too generic. Working only by himself, without a studio, Hopkins produced relatively few pieces making his work rare and highly sought after by collectors. Phillip Lloyd Powell (1919-2008) was a carefree artist who moved to New Hope Pennsylvania, a magnet for creatives in the 1950s, to produce intensely crafted studio works and form a partnership with Paul Evans that would become the Evans-Powell Studio. 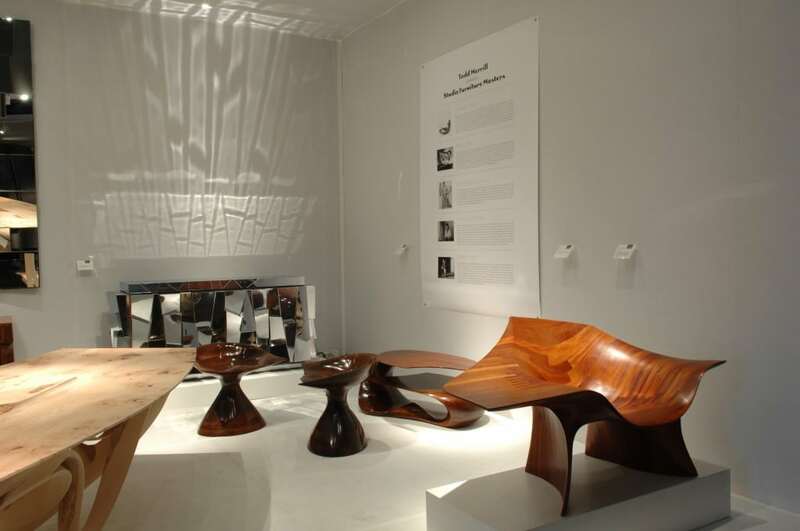 Powell worked primarily in sinuous wood and along with Evans produced design furniture that was highly attuned to the free-wheeling exploratory mood of the 1960s and 70s. Powell’s artistic spirit was often expressed in his work which was loose and spontaneous and included “found objects” from his global travels which were often incorporated into his designs. Powell embodied the spirit of the 1960s and never wanted to be in business — the opposite of Evans. He considered him self a “drop-out” and meeting deadlines never worked for him. 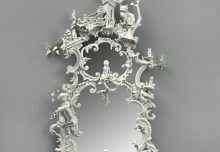 Instead he continued to follow his inner muse to produce fantastical unique furniture into his late 80s at his own direction. 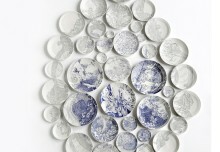 Joseph Walsh born in 1979, established his studio in 1999 in County Cork, Ireland. He began his experimentation in furniture making at an early age and though self-taught he traveled extensively to learn from the workshops of other contemporary designers. Walsh sees his work as transcending design and art, guided only by the sensitive use of materials, and purity in structure and form. The extraordinary craftsmanship of Joseph’s work has been widely recognized through inclusion in numerous collections and exhibitions and has received the critical attention of curators and academics throughout the design world. Walsh represents the leading edge of studio furniture making today, his peers are few and his designs are on par with any of the art furniture designers of this decade. Uniquely he crafts each piece by hand pushing the limits of his material and one’s imagination of what a piece of wood furniture can be.